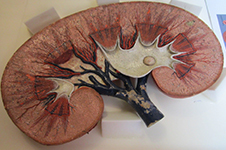 Medical science today has advanced to the stage where, far beyond transplanting vital organs such as the heart and liver, progress is being made on creating artificial organs. The way things stand now, technology is held back more by the lack of suitable materials than anything else. Any material that is inserted into the human body must have the characteristics necessary for it to be accepted by the body and to carry out the functions for which it is implanted. An implant is an artificial material used in the human body for the fixation, repair or restoration of any impaired physical function. A wide range of materials have been used for this, ranging from the mundane to the exotic. These include the wood used in the earliest forms of artificial legs and catgut, made of the fibre from animal intestines, used to stitch up wounds, at one end of the spectrum to precious materials such as gold and platinum at the other. In between these two extremes are other materials such as alloys of metals such as titanium, copper, chromium, iron and magnesium. Of these, the alloys of all the metals except magnesium have limitations it being used for temporary implantation where it needs to last only until the body tissues are healed. Since none of these materials are biodegradable, they need be removed surgically, which adds to the pain and trauma of the patient, besides the expenses involved. Magnesium, on the other hand, is considered highly suitable for biodegradable implants in orthopaedic and vascular medical applications because of properties such as biocompatibility, low density and elastic modulus which are similar to that of human bones. It can also act as a cofactor for enzymes. Moreover, due to low standard electrode potential and high degradation rate it gets dissolved, absorbed in the body and stimulates bone formation. 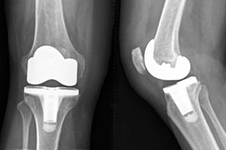 In spite of all these qualities, however, the use of magnesium alloy as biodegradable body implant (such as fasteners for bones, such as screws, plates or nails, intestinal clips, vascular clips and stents etc) has been restricted due to its high reactivity, as a result of which it corrodes and degrades too quickly in the physiological environment (in pH = 7.4-7.6), thereby losing their mechanical integrity before the tissues have sufficient time to heal. The unfortunate complication with the current magnesium alloy implant material is that they can only retain mechanical integrity for about 6-8 weeks.. 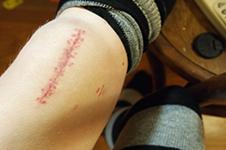 The implant should be maintained in the body for more than 12 weeks to allow sufficient time for healing. Moreover, the degradation of magnesium always leads to the formation of hydrogen and alkalization of the solution. The evolved hydrogen bubbles from a corroding magnesium implant can be accumulated in gas pockets next to the implant which will delay healing of the surgery region and lead to the dying off of tissues as the gas pockets can cause separation of tissues and tissue layers. Also local alkalization can unfavorably affect the pH dependent physiological reaction balances in the vicinity of the magnesium implant. This may even lead to an alkaline poisoning effect if the local in vivo pH value exceeds 7.8 in that region. Thefore, there is a need to slow down the biodegradation rate of magnesium alloys so that release of magnesium ions, hydrogen creation and alkalization can go more slowly so that the human body is able to gradually deal with the degradation products. Swati Gaur, a research scholar at the IITB-Monash Research Academy in Mumbai, has been working on finding ways to overcome this challenge. 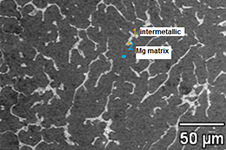 Alloying with different elements and different types of surface modification were the probable approaches to slow down the biodegradation of magnesium alloys. There have been many studies on alloys of magnesium with rare earth (RE) metals as implant materials. However, the solubility limit of most of the alloying element in magnesium is limited. Also, the toxicity of these alloying elements always remains an issue while using magnesium alloys in biomedical applications. Addition of an alloying element in magnesium alloys would be severely restricted due to toxicity and bio-compatibility issues. The release of magnesium ions from corroding magnesium alloys should not cause toxicity (local or systemic). Surface modification through processes like Micro arc oxidation is another option that has been tried out. The disadvantage with this technique was localized heating at the surface during the treatment. Also the coatings produced were brittle ceramic material that would not have the requisite mechanical properties. Alkaline treatment was also done but the corrosion protection provided by this was only for 48 hrs. Electrodeposition of HA coating was a popular method but it acts only as physical barrier and lacks adhesion therefore survives only for 48 hrs. With the objective of creating a material that would last as long as it took the body to repair the damaged tissue and then degrades, Swati chose to create a surface coating, which is non-toxic and biocompatible, which would help to control the degradation of the alloy for a specific time. Working under the guidance of Prof. A.S.Khanna (IIT-B) and Prof. R.K.Singh Raman (Monash University), Swati has developed a new method based on sol gel based silane coating, and has succeeded in controlling the corrosion rate. The new coating has a longer life in physiological environments as compared to surface treatments done till date on magnesium alloys. 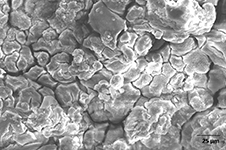 Implants with this kind of coating gives rise to significantly lower volumes of hydrogen, resulting in minimal formation of gas pockets leading to necrosis of nearby healing tissues. Swati’s innovation can serve as the base for further development of coatings for magnesium implants with even greater and more precise control on the corrosion rate. Project title: Development of Silane based Coating for Corrosion Protection of Magnesium alloy for Biomedical Implant Application.